Disability, Sport and Society: A Student Introduction. Disability sport is a relatively recent phenomenon, yet it is also one that, particularly in the context of social inclusion, is attracting increasing political and academic interest. The purpose of this important new text – the first of its kind – is to introduce the reader to key concepts in disability and disability sport and to examine the complex relationships between modern sport, disability and other aspects of wider society. •disability sport and the media. 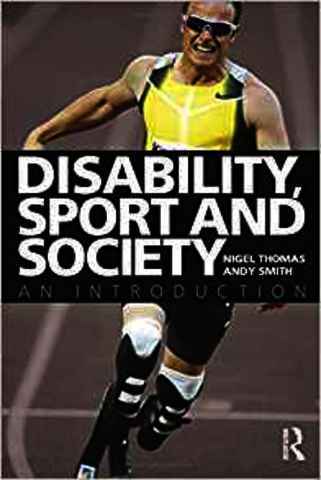 Including chapter summaries, seminar questions and lists of key websites and further reading throughout, Sport, Disability and Society provides both an easy to follow introduction and a critical exploration of the key issues surrounding disability sport in the twenty-first century. This book is an invaluable resource for all students, researchers and professionals working in sport studies, disability studies, physical education, sociology and social policy.